San Francisco, CA, January 12, 2012 – VIZ Media, LLC (VIZ Media), the largest distributor and licensor of anime and manga in North America, opens the new year with the latest addition to its extensive library of NARUTO titles. NARUTO: THE OFFICIAL CHARACTER DATA BOOK is available now, offers essential information on key characters from the smash-hit action series, and includes 8 full-color pages. NARUTO: THE OFFICIAL CHARACTER BOOK is rated ‘T’ for Teens and will carry an MSRP of $14.99 U.S. / $16.99 CAN. A ninja knows all! And now you can too! Here's all the intel you need on who's who in NARUTO!.THE OFFICIAL CHARACTER DATA BOOK gives you all you need stay the expert on all things NARUTO. Whether you're catching up, brushing up, or just getting started with the goings-on in ninja world, this handy, huge guide covers the whole story all the way to Volume 43 of the best-selling manga (graphic novel) series! Created by Masashi Kishimoto, NARUTO was first introduced in Weekly Shonen Jump magazine in Japan in 1999 and quickly became that country’s most popular ninja manga targeting tweens and teens. 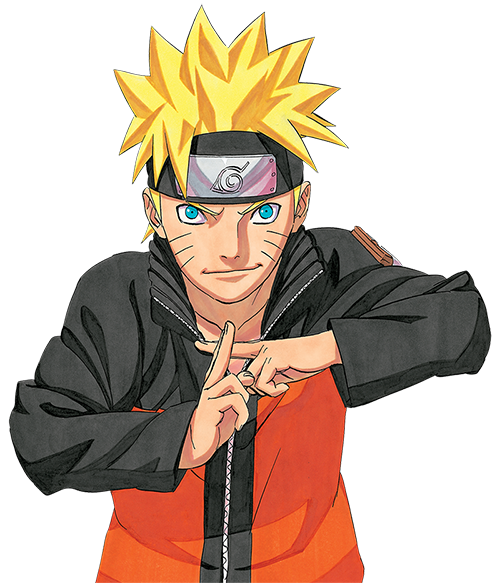 The manga series (rated ‘T’ for Teens) and animated counterpart (NARUTO rated ‘T’ for teens, and NARUTO SHIPPUDEN rated ‘T+’ for older teens), depicting the adventures of ninja-in-training Uzumaki Naruto, is one of VIZ Media’s most successful properties and has captivated millions of fans across North America, Europe and South America. The NARUTO and NARUTO SHIPPUDEN animated series are co-productions of TV TOKYO, VIZ Media parent company Shueisha Inc., and Pierrot Co., Ltd.